In the last newsletter, we talked about the significance of “Quality MEE Time”–time taken to “center ourselves” and draw a deep breath, can be bigger than we realize. We would love for SEI MEE TEA to be a part of your stress management as well as providing high nutritional values. 1) A review of 148 studies involving over 300,000 participants found that people with strong social relationships are 50% less likely to die prematurely. 2) People with social support and strong relationships feel healthier, and show a faster recovery from stressful tasks and stronger immune system even against the common cold. 3) A survey by the National Bureau of Economic Research of 5,000 people found that doubling your group of friends has the same effect on your well-being as a 50% increase in income. 4) Committing to a life partner can add 3 years to life expectancy. Researchers have found that a loving, long term, committed relationship benefits life expectancies for men and women, but men gain even more benefit from the relationship. 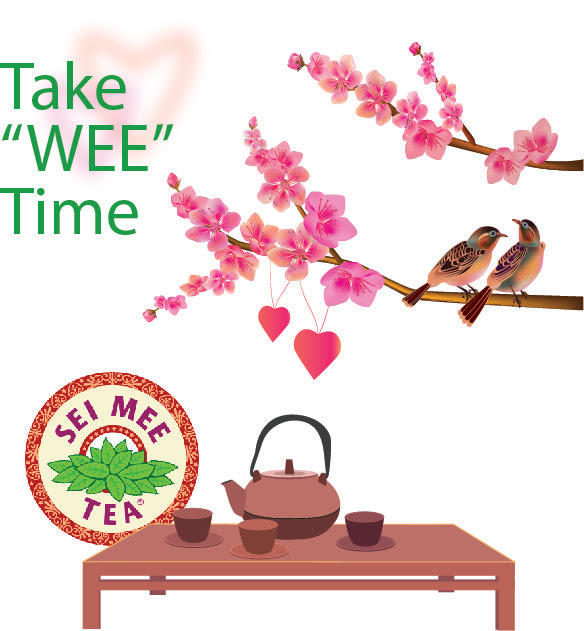 Take some time over a cup of SEI MEE TEA to share love and laughter this Valentine’s Day. Wishing you a blissful time! “Sociability and susceptibility to the common cold” Cohen, S., Doyle, W.J., Turner, R., Alper, C.M., Skoner, D.P. Share our selected teas with your dear ones! Lovely as a Valentine’s Day gift! Tell us how you share SEI MEE TEA!